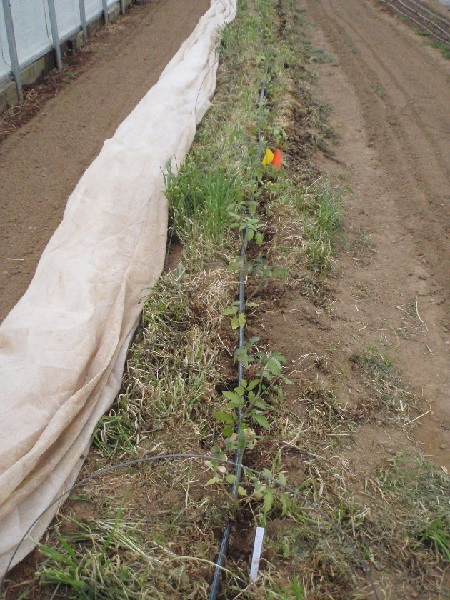 Last week, we got all of our tunnel tomatoes in the ground--we are using the variety Arbason this week. Since this is a research farm, we do lots of experiments. 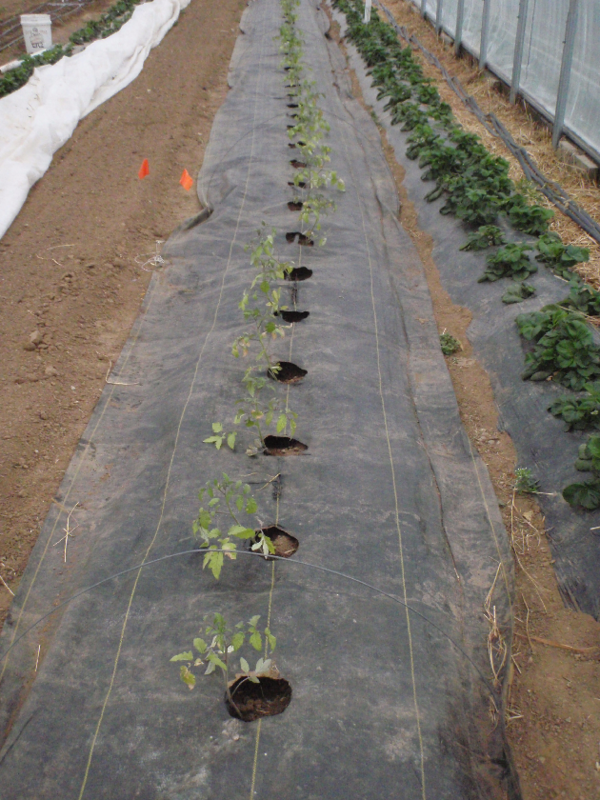 This year with our tomatoes, we are experimenting with planting dates (see our previous post), but we are also experimenting with strip tilling tomatoes in the tunnels. Last fall, we seeded winter wheat and red clover in one of our tunnel beds and two weeks ago, we mowed it down with the flail mower attachment on our BCS 853. This past week, we ran a chisel plow down the middle of the beds, added fertilizer and compost, and then used the stip tiller attachment on the BCS to prepare a tilled strip. 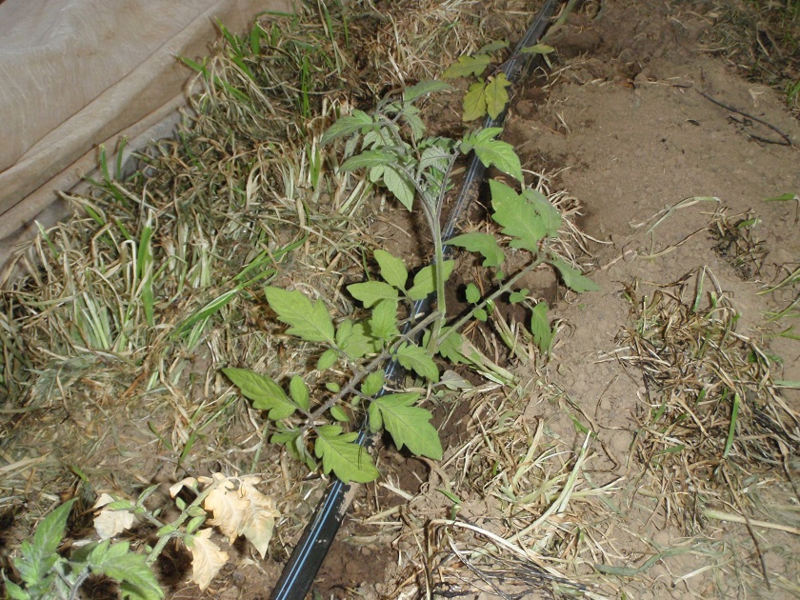 We planted tomatoes into this strip on 18" spacing. We will compare leaching, nutrient availability, and other markers of soil quality between this bed and another we planted with landscape fabric mulch. It should be interesting to see how these beds compare in terms of yield, in addition to the soil quality and nutrient data mentioned above. This conservation tillage work is supported by the KY Natural Resource Conservation Service, who is partnering with us to work on bringing conservation practices from the field into the tunnels. Torsion bras de quelqu'un est comment poupe votre sang pousse contre les parois de vos arteres lorsque votre coeur sentiment pompe le sang. Arteres sont les tubes qui transportent prendre offre sang loin de votre coeur. Chaque set votre moelle bat, il pompe le sang a tous egards vos arteres a la reste de votre corps.